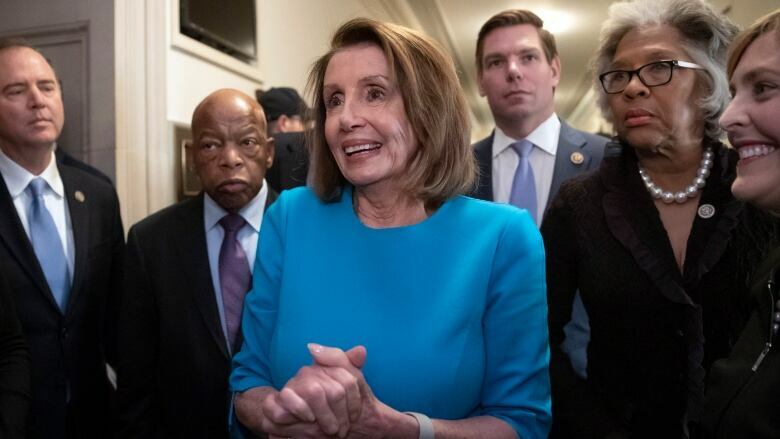 Pelosi ran unopposed as the nominee for Speaker in a closed-door Democratic caucus election Wednesday despite unrest from those clamouring for new leadership. Democrats will hold at least 233 of the House's 435 seats in the new year. Assuming that all Republicans vote against Pelosi for speaker, just 17 or 18 Democratic opponents could be enough to block her from becoming Speaker. Pelosi was the first woman to be Speaker — back when Democrats had the House majority from 2007 to 2011. It's rare to reclaim the post after losing it.